Brains are complex things. Man’s quest to understand this lump of gray mass has become something of an obsession. In this edition, we learn about two new studies that could help oil the wheels of this cerebral journey. 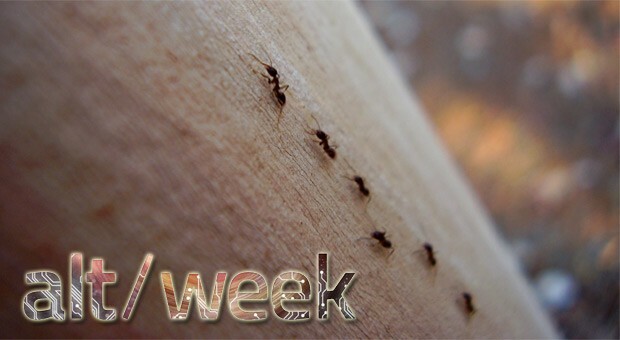 That, and some clever ants. This is alt-week. When it comes to developing music apps, Leap Motion’s naturalistic interface seems like a no-brainer. Sure it doesn’t offer the sort of tactile feedback you get from an actual instrument, but it certainly beats the heck out of, say, a keyboard and mouse. 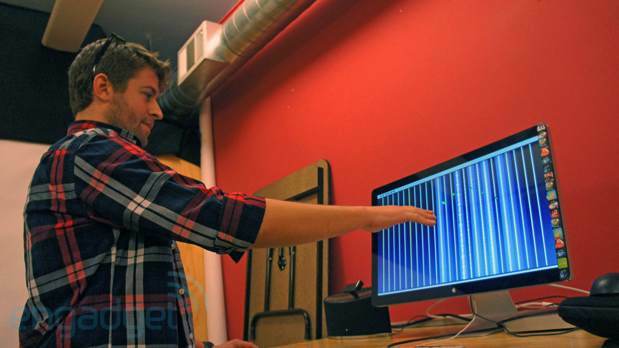 Adam Somers is among the early developers looking to bring a little bit of music magic to the tiny peripheral, and he gave us a sneak peak of what he’s working on at a Smule event in San Francisco earlier this week. The simpler of the two apps is AirHarp. Still in early developer preview mode, the program is pretty much exactly what it sounds like: a virtual harp. Hold your hand out and strings light up — tap down and you can pluck them. Reach in a bit and you can strum with one or several fingers. More impressive is AirBeats, a virtual machine with two pads and a slew of sounds that lets you record tracks. Somers is hoping to have at least one of the apps out in time for Leap Motion’s upcoming launch. You can check out demos after the break. We like pinball. We like classic NES games. 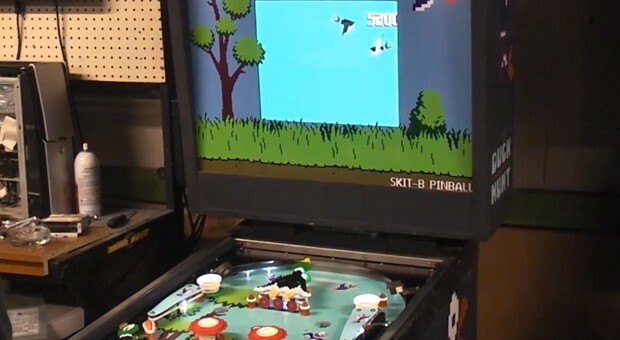 Accordingly, it doesn’t take much deduction to know that we really, really like Skit-B Pinball’s Duck Hunt pinball machine. It has a fully mechanical, themed pinball machine below, but there’s also a PC up top that replicates the images and sounds of Nintendo’s light gun video game in sync with the analog action. The conversion of a Williams Valiant took about a year of off-hours work to finish, and it shows — the attention to detail is what we’d expect if Gunpei Yokoi had put all his energy into pinball instead. Our only lament is that the Duck Hunt machine is a side project, and it likely won’t escape into the wild. At least there’s a video (after the break) to sate our curiosity. 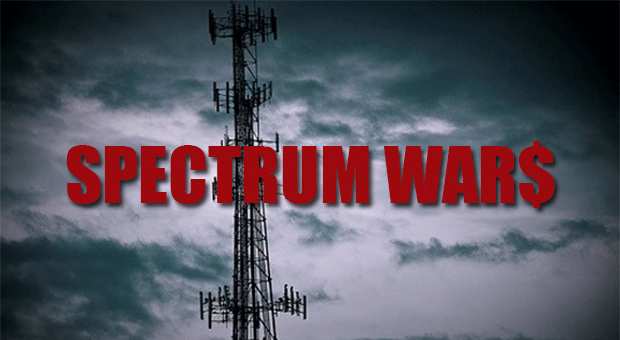 The Department of Justice has provided the FCC with new recommendations for governing spectrum auctions, and with a heavy emphasis on leveling the playing field, the findings are likely to draw the ire of AT&T and Verizon. In its briefing, the DOJ made its case that the nation’s two largest carriers currently hold market power, which is due to the heavy concentration of lower frequency spectrum (below 1,000MHz) allocated to the two incumbents. According to DOJ officials, “This results in the two smaller nationwide carriers having a somewhat diminished ability to compete, particularly in rural areas, where the cost to build out coverage is higher with high-frequency spectrum.” Although the DOJ never came right out and said it, one can easily surmise that it’s guiding the FCC to establish rules that favor smaller carriers — namely Sprint and T-Mobile — in future low-frequency spectrum auctions. In the DOJ’s opinion, an incumbent carrier would need to demonstrate both compelling evidence of capacity constraints and an efficient use of its current licenses in order to gain additional lower frequency spectrum. Otherwise, the opportunity exists for AT&T and Verizon to snap up licenses simply in attempt to harm competitors. Given that the FCC and DOJ share the responsibility of ensuring competition in the marketplace, it seems unlikely that this latest brief will fall on deaf ears. This entry was posted on April 13, 2013, 5:59 pm and is filed under Mobility. You can follow any responses to this entry through RSS 2.0. Both comments and pings are currently closed.